Edmonton Oilers’ Connor McDavid rejected the idea outright. Without blinking, the young superstar made it very clear that scoring 100 goals is impossible. Just days ago, Jaromir Jagr predicted that McDavid could score 100 goals someday, but McDavid would have none of that., according to Jim Matheson of the Edmonton Journal. The closest anyone has ever come was by Wayne Gretzky, who scored 92 goals in the 1981-82 season. Gretzky also had 87 goals in 1983-84. Alex Ovechkin, who has seven goals in the Capitals first two games might have a better shot at it than McDavid. However, the 32-year-old’s best season was 65 goals in 2007-08. Jason Botchford of the Vancouver Sun writes that a lot of the credit that goes towards the Canucks 3-2 victory Saturday was the play of Brandon Sutter. The 28-year-old center and his line of Markus Granlund and Derek Dorsett shutdown McDavid, who didn’t register a point in the game and finished with a plus/minus of -1 in 24:38 of ice time. Curtis Zupke of the Los Angeles Times writes that Los Angeles Kings’ Adrian Kempe’s role on the forward line is already beginning to diminish. The former 2014 first-round pick only played two shifts in the third period for the second straight game and it looks like Alex Iafallo has taken his place on the second line of the power play. Kempe has struggled to break through as a wing on the professional level. He scored 12 goals in 46 games for the Ontario Reign of the AHL last year and scored just two goals for the Kings in 25 games. The average age of a team is a stat which gets thrown around rarely, but it can be quite telling when it comes to salary cap planning and drafting. The youngest teams tend to have exceptionally talented stars under the age of 25 (Oilers, Blue Jackets), or find themselves out of contention entirely, banking on the rebuilding process (Arizona, Colorado). At the opposite end of the spectrum are the most aged teams, some past their windows of contention and almost all struggling with an identity crisis. However, there are outliers in the group – for instance, Florida is the 5th oldest team at present, while most of the top talent is still in their primes. Still, the Ottawa Senators, Detroit Red Wings, and Los Angeles Kings all have Father Time looming ominously above their franchises. All of these teams could re-structure themselves and find themselves back on the right track, if their drafting improves and their general managers cut loose harmful contracts while able. The most recently successful of the three, Ottawa fans likely aren’t expecting another Conference Finals finish. The team lost Marc Methot in expansion, and their largest move in the off-season was the signing of 35-year-old Johnny Oduya. With an average age of 29.73, they should be see the effects of age start to impact their performance. Although 36 year-old Craig Anderson was pivotal in their 2016-17 success, he has one year remaining on his contract and Marcus Hogberg will be looking for an opening in the mid-term future. If Anderson’s workload drastically increases, he could find difficulty in maintaining his above average numbers, and that could spell trouble. By re-signing the steady Mike Condon, however, they at least alleviated that concern. The team had a chance to unload 30 year-old Bobby Ryan to Vegas, but opted against it. They’ll now have his contract on the books until he’s 35. 36 year-old Alex Burrows has two years remaining on his deal, while 32 year-old Clarke MacArthur has three. 32 year-old defenseman Dion Phaneuf has hard mileage on him with his physical style of play, and has four years remaining on his deal. Outside of Colin White, Cody Ceci, and Fredrik Claesson, everyone on the roster is over the age of 25. If Logan Brown pans out, he should go a long way in rejuvenating the forward corps. Filip Chlapik of Charlottestown is certainly no slouch either. On the defensive side, Thomas Chabot has the talent to make a significant impact, but there’s a logjam of older veterans in his way. While Ottawa obviously doesn’t need to entertain a full rebuild, they need to allow their prospects a chance to make the NHL squad and embrace a youth infusion. Signing the Oduyas of the world only prolongs that necessity. The Red Wings have paid out far too much money to mediocre talent, and it has been death by a thousand papercuts for Ken Holland. The team now finds itself $3.9 MM over the salary ceiling, desperately trying to find a way to shed salary and slip under before year’s start while still signing RFA Andreas Athanasiou. This is another franchise who opted to go with an established veteran on the backend this summer, Trevor Daley (33), when the team was in desperate need of younger legs. The team finds itself second oldest league-wide, with an average age of 29.27. Part of the reason Detroit consistently finds itself among the oldest franchises in the league is that the organization places extreme value on fully maturing its prospects, usually in the AHL, before regularly dressing for the big club. This is a fine ideal, but it usually results in more expensive contracts for RFAs, as the totals posted by well-groomed players are usually superior to those of untested rookies. In the Salary Cap era, having productive players on ELCs is a huge contributor to success. Henrik Zetterberg, 36, has four more years on his deal, and logs exceptionally taxing minutes. Johan Franzen, 37, is already burning cap space, as his LTIR will be on the books for another 3 seasons. Once the year begins, its not a great issue, but it complicates matters in the off-season. Frans Nielsen, 33, is no spring chicken himself and also takes on greater responsibility in Detroit than he ever did in Long Island. With 5 years remaining on his deal, it begs the question of whether he will be performing at a Selke-caliber when he’s turning 38. Only Xavier Ouellet and Danny DeKeyser are under the age of 30 on defense, with Daley, Mike Green, Niklas Kronwall, and Jonathan Ericsson all having no-trade clauses. The Wings have some enticing prospects on the horizon, but with so many immovable and long-term contracts, it will be difficult for them to find places on the team in the short-term. Dylan Larkin and Anthony Mantha are both ready for larger roles, but true talents like Michael Rasmussen should get the opportunity to shine in a top-six role. Detroit is in no position to seriously compete, and perhaps it’s time to embrace the necessary partial rebuild. Trading some of the dead-weight contracts would be a solid start. Los Angeles is only a few years removed from a Stanley Cup win, but it seems like ages past. They have the third-oldest roster on paper at the moment, with an average age of 29.14. The Kings don’t actually have any players over the age of 35, so in that sense, they’ve avoided serious headaches. Marian Gaborik (35) and Mike Cammalleri (35) are the team’s greybeards, and while both had down seasons, they could each realistically rebound under new leadership. The problem for Los Angeles is that they don’t have any bonafide prospects pushing the issue. 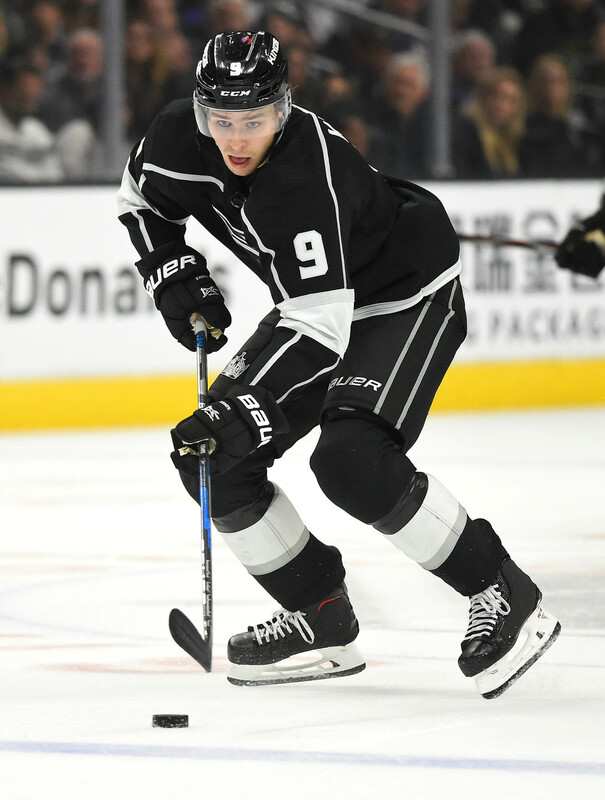 Adrian Kempe is the surest best to make the roster this year, as he could slot into a bottom-six role quite easily. Defenseman Paul LaDue should see his fair share of work this year as well. Beyond that, they’ll have no players playing on entry-level contracts. It’s simply unsustainable to draft in such a poor manner for so long, and Los Angeles is seeing the hurt now. If Jonny Brodzinski, a former 5th-rounder, could make the leap permanent, it would be a great help. The Kings are over $6.8 MM under the cap ceiling, so unlike the Wings and Senators the franchise isn’t overly concerned about money. Dustin Brown’s contract is particularly egregious, but there’s not much to be done about it. 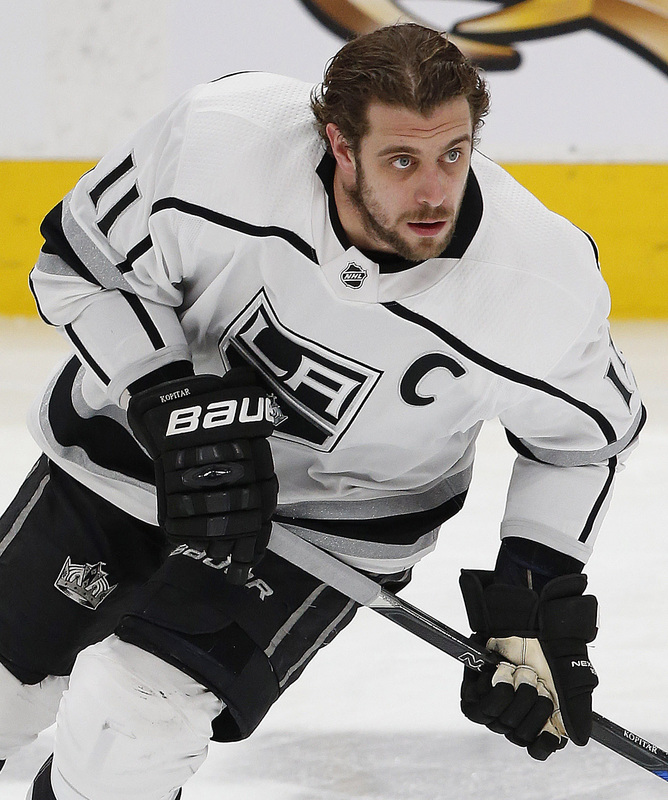 Los Angeles can still turn things around, but they’ll need more recent draft picks to find a way to contribute going forward. Gabriel Viladri will head back to Windsor for the season, but he could inject a serious shot of youthful speed and creativity into the roster in 2018-19. There’s just not a ton of excitement when it comes to Kings prospects, and considering that Vilardi was the first first-round pick since 2014 (Kempe), it’s easy to see why. Still, Tanner Pearson (25) and Tyler Toffoli (25) should have more prominent offensive roles this year, while some older defensemen were abandoned, so management seems to be righting the ship.